The 2013 version of the Cabot Trail Acoustic Festival promises to be bigger and better than ever with many news bands added to this year’s lineup. You are encouraged to spread the word, share with friends, and invite family, friends, and musicians alike to participate in the many showcases, workshops, jams, and live performances at the 2013 Cabot Trail Acoustic Festival. The “acoustic” focus this year will be sharing music from many genres including folk, bluegrass, roots, country, blues and original styles. Aside from the many live performances from artists around the local Cape Breton area, we will be featuring an atmosphere of workshops, instrument jams, and songwriter clinics over the 3 day festival from July 26-28, 2013. We hope to grow our festival by encouraging amateur and professionals alike to participate in our open-mic performances held Saturday and Sunday 11am-12pm just before the main bands take to the stage. 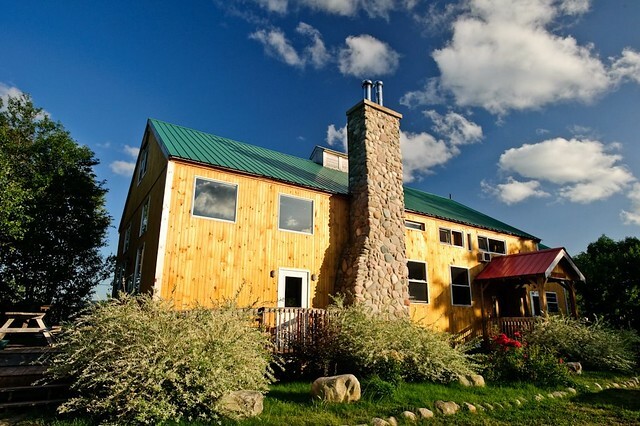 Cabot Shores Wilderness Resort is a 55-acre private Cape Breton Island sanctuary with breathtaking views, a 2000-foot ocean beachfront, a lakefront on Church Pond, a waterfall fed Indian Brook, and many modern conveniences–often powered by solar or wood. The resort offers an amazing view of the Atlantic Ocean, St Ann’s Bay and the Bird Islands, Cape Breton. Chalet, Lodge & Camping accommodations will be available on site here at Cabot Shores. Tickets will go on sale in April (more detail to follow).